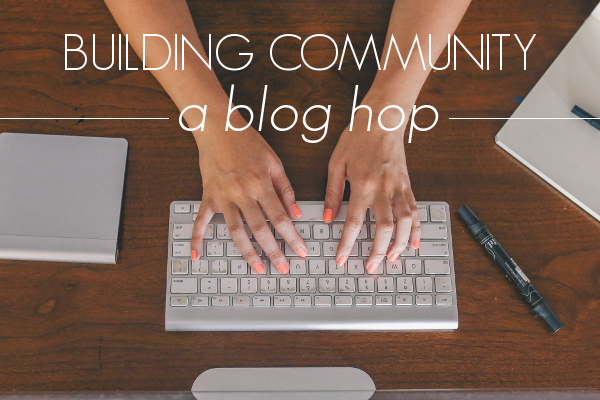 A few weeks ago, our Arkansan friend Sarah Jo contacted us about participating in a blog hop. We had no idea what it was, and she hadn’t either before she was contacted about it – so we agreed to learn alongside her. A blog hop is when bloggers get together and answer a few common questions about how/why we do what we do. It’s been interesting to follow the links backwards and see all the other bloggers who have “hopped” – their passions, what makes them unique, and what drives them to write. Sarah Jo is a sweet woman, and a challenging blogger. She’s passionate, creative, and has a great voice & writing style. She challenges her readers about social issues, finding beauty & joy in the mess of everyday life, and giving thanks to God for all things big & (seemingly) small. Check out her blog hop post (though she speaks way too highly of us), and follow her blog for weekly encouragement & challenges. What are we writing/working on? Right now, we’re mostly writing about our favorite recipes, DIY projects, easy tricks to living frugally, and some of the ways that God is challenging us, or things God has taught us in the past. We also work to encourage each other and other young wives as we serve in our churches, communities, homes, and marriages. How does our work differ from others of its genre? Part of what makes us different is that we blog together. We were close friends for a few years, and then Cara & Matt moved to Louisville. We started the blog partly to have a reason to talk to each other and keep up our friendship. It’s certainly done that job well. Even though we live in the same city again, we could easily go weeks without talking or hanging out because we have pretty busy schedules. Having this blog has strengthened our friendship and given us a continued excuse to hang out on at least a weekly basis. We’re also two pretty different people. This lends a good variety of writing styles and topics to our blog, and even different viewpoints. While we both enjoy creating, we often go about it in different ways and have different tastes. We write a lot about marriage, and even when the topic isn’t marriage specifically (DIY, cost-cutting, recipes) it’s still with the goal of encouraging each other and other young wives as we struggle against what the world thinks marriage should look like, and what the scriptures command marriage to be. We certainly don’t think we have it all figured out, but we’ve written about what we see in the scriptures and what biblical marriage looks like to us. What we want more than anything is for other wives not to feel alone. You’re not the only one who struggles to stay in the black with the grocery budget, or who has dirty dishes piled in her sink five days out of the week. We write what we write because we’re there, too, and we want to help other women by encouraging them with scripture and with practical steps toward being a biblical woman in a God-centered household. At the beginning of every month, we sit down with our trusty Google calendar and decide most of our post dates and topics. Often, we have post drafts written weeks in advance and just have to schedule them to post on the right days. Our schedule is pretty flexible, we just want to have a good variety of topics, so planning things out ahead of time helps with that. Outside of what’s scheduled on the calendar, we’re free to post anything, anytime. We didn’t used to have this freedom (we had a strict Monday/Wednesday/Friday schedule), but we’re hoping that in taking a step back structure-wise, we’ll write more about our day-to-day lives, and what we’re struggling with or learning as we’re living it, rather than waiting till there’s an open post date. As far as the actual writing goes, we just try to get all the words out on the page and then go back and edit to make sure it’s coherent. Usually we have each other (or our husbands) proof-read before posting just to be on the safe side. I may know what I mean, but if Cara doesn’t then it needs to be re-worded. So, that’s it! This blog hop has been a great experience. It’s been good to reflect on what we do and why we do it, since sometimes it’s easy to forget that in all the details and schedules. And now you have a little insight into our process. We hope you enjoyed it!